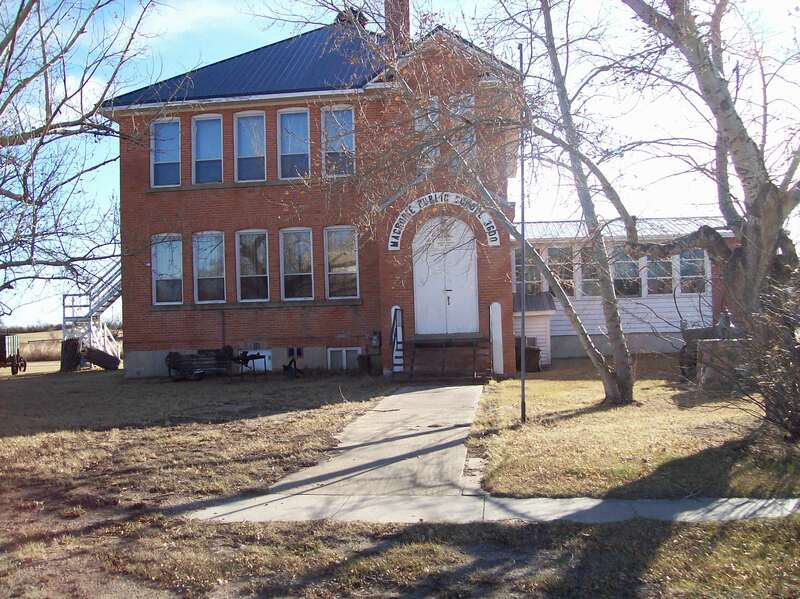 Pictured is my grade school, Macrorie Public School in Macrorie, Saskatchewan, Canada. Home to many of my happiest childhood memories. Seriously. In school. Weird, right? Grades K-8 held ~80 kids, mine being the largest with 11. That little room off to the right: it held grades K-2, lower level on left was grades 3-4-5 and 6-7-8 were up top. That’s right peeps- 3 grades in one room – 1 grade per ROW. See the basement windows to the left of the stairs? That was home base. Laura Ingalls had nothing on us. We debated, studied world history, mathematics, French, geography etc. but recess was where it all went down: we orchestrated fierce battles of kick the can and dodgeball, ice skated and played “crack the whip,” killed each other at fox & geese, raced the fire escape and produced the most magical Christmas concerts & talent shows ..we glided on wood floors, slid down the banister, told secrets on the “box,” and more. To school we brought our crazy carpets, our super slider snow skates and our most favorite things: hockey skates, puppets, slippers, slingshots and the occasional tomcat (bad idea). Right next door is the United Church. 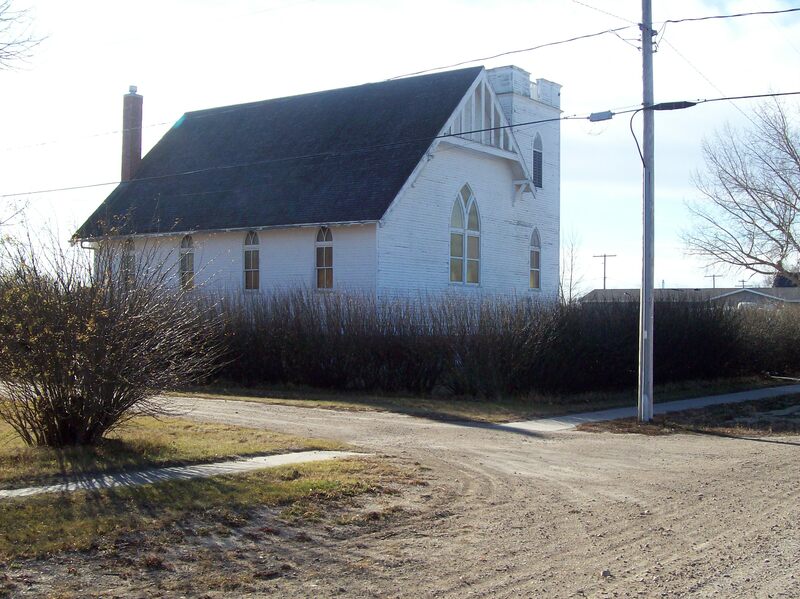 I spent my formative years there attending Sunday school, Choir rehearsals and concerts, fowl suppers, wedding showers, anniversary parties, funerals and retirement send-offs. Entertained, cooked, prayed, sang, loved and was loved. When I think back to this “hamlet” (too small to be a village), I smile. When I go home, I smile. And when I leave, I cry. Every. Single. Time. Here’s why … I miss the traditions, the kindness, the skies, the comfort, the people, the predictability, the wind, the helping hands, the gossip and mostly .. I miss being from a place where everyone knew (and still knows) my name. Farm kids grew up and traveled the world and we did so with the comfort and confidence of knowing there still exists a place like this to come home to. I miss it.. all of it..every last single butter-tarted bite of it. I couldn’t wait to get out and explore but, to this day, when the sky is just a certain shade of blue, or I feel a westerly wind at my face, I ache for my childhood home. Hi there. I just read ‘Where I Come From’ and agreed with everything you said. I am also from Macrorie and am proud of my small town roots. It was a great place to grow up! Thanks for bringing back a lot of memories. I miss my childhood home, too.